"Mobile Discos for All Events"
We are a full-time professional mobile disco/DJ company. Having established in 2002 we have performed at over 1000 events providing DJ entertainment for a wide variety of clients, venues and events, including Wedding Receptions, Birthdays, Corporate and all Private and Traditional functions. As a DJ and Disco specialist, we are able to provide a modern and upbeat service that caters for all musical tastes, styles and events. An extensive knowledge of and wide range of music for all occasions. We can and do cater for just about every type of event. Music styles that we play includes R+B, Chart, Indie, Rock, Motown, Classic 70s, 80s, 90s + 2000s, Garage, Dub Step, Soul, Hip Hop, Disco, Cheese, Northern Soul, Funk, Old Skool Classics, Britpop and Classic Indie, 80s Soul Classics, Rat Pack, Dance Club Classics, Funky House, Trance, Ska/Reggae + Two-Tone, Classic Party Anthems, Theme Nights and Many More! Required by many venues, Elite DJz has a current PLI policy with National Association of Disc Jockeys in the amount of £10 million. Also required by many venues, Elite DJz has supplied satisfactory evidence of holding current PAT inspections of their equipment dated within the last 12 months. A Method Statement outlining Elite DJz&apos;s Health & Safety procedure for setting up disco equipment has been provided. 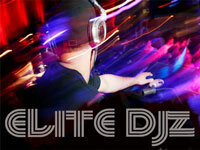 Elite DJz has provided Risk Assessments undertaken at events sourced via needadisco.com, indicating that they can undertake these competently. Why do people choose to book Elite DJz? Contacted one company did not replyz. He was second on my list. "Steve provided an excellent disco matching the music to the guests and venue. I would definitely recommend him to my friends and colleagues. He was professional and polite. We all had a great evening. Many thanks Steve. " "Thank you for your feedback. Loved playing for you and your family"
"Steve is a brilliant DJ. Range of music was great. Suited all ages. Everyone had a great time. Would definitely use him again and highly recommend. " "This DJ was exceptional. We expected a standard DJ of good/very good talent, but this gentleman was outstandingly brilliant. Communication was superb before and during the evenet. He supported us in a managerial booking issue on his arrival. Highly supportive and diplomatic with the management, he helped solve the matter professionally and swiftly with no fuss at all and was received well by the venue management. He was professional, polite and responsible in everything he did. Nothing was too much to ask, he was great Equally, we are glad we gave him some freedom to play music he selected according to our tastes/genres, and he delivered no-stop perfect selections with our playlist cleverly integrated. We had many compliments regarding the DJ from our guests, they were very impressed indeed. We would "Highly" recommend this DJ for ANY event. He was like a 'TOP' Rated British DJ playing exclusively for us and our guests. Superb!!!. p.s. we intend to book him for our wedding once the venue is confirmed. Thank You and thanks DJ Stevie." "Thank you so much for your feedback. This was a great gig to dj at and the people were lovly. Cant wait to see you guys at the next one. Steve"
"Steve was absolutely amazing. He played a great range if music as requested and interacted with the guests to get them going. I would highly recommend Steve for future hire. Thanks Steve!" "Steve was excellent and a number of people said How good he and the evening was compared to our previous experiences will certainly book again." "Thank You for your feedback. It was a very enjoyable evening. " "Very pleased with every aspect of the service we received. Dj was polite punctual and very good with our guests. Would defiantly recommend him. " "The DJ had people on the dance floor all night and was happy to accommodate all requests. The guests commented on how great he was and loved the music played. I would recommend!" "Steve was an excellent dj and really made the party. We would definitely use Steve in the future and will definitely be recommending him to friends and family, we really can;t thank him enough." "Steve was very easy to get on with and nothing seemed a problem. I would have no problem recommending him for future events. In fact i think my brother is thinking of using him for his wedding next year... watch this space! Many Thanks Toni"
"Thank you for a great night we will def be booking you a again for future events"
"Steve was a great DJ! We couldn;t have asked for a better service! We had 2 or 3 calls to talk over the requirements and arrange times etc and all of the music lists were emailed to him and played on the night. Simple and trouble free to arrange, and we received a top quality service! Thanks Steve you were a legend!" "Such a cool and friendly DJ - sent a playlist prior to the event and he managed to incorporate nearly all tracks. He was also able to gauge the crowd well to see what they would enjoy"
Get FREE no-obligation disco quotes from Elite DJz and other DJs covering your venue. Take 2 minutes to fill in some basic details and we'll do the rest! If you are contacting Elite DJz about an event, it's always a good idea to include the DATE, LOCATION, EVENT TYPE, AGE GROUP and TIMINGS to speed things up!